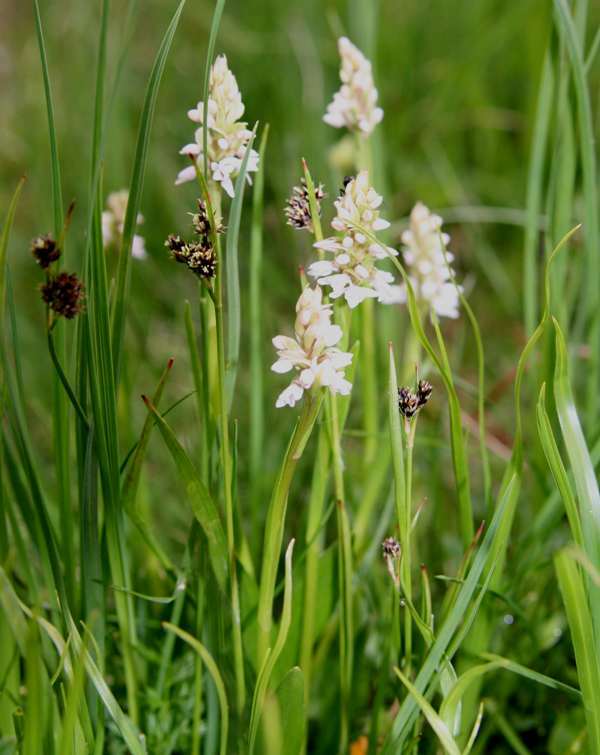 Although this small orchid can appear in large numbers in suitable places it is still remarkably hard to spot. Gymnadenia frivaldii grows up to 30 cm in height and has 3-5 erect leaves close to the base of the stem. There are further bracts among the flowers. The flowers are white to pinkish borne in a flower spike that is initially conical, gradually becoming more cylindrical as the flowers open. The shape of the flowers are very similar to those of Gymnadenia conopsea with which this orchid has a close relationship. Gymnadenia frivaldii is endemic to the central European Balkan and Carpathian mountain ranges.It grows in Bulgaria, Montenegro and Greece. 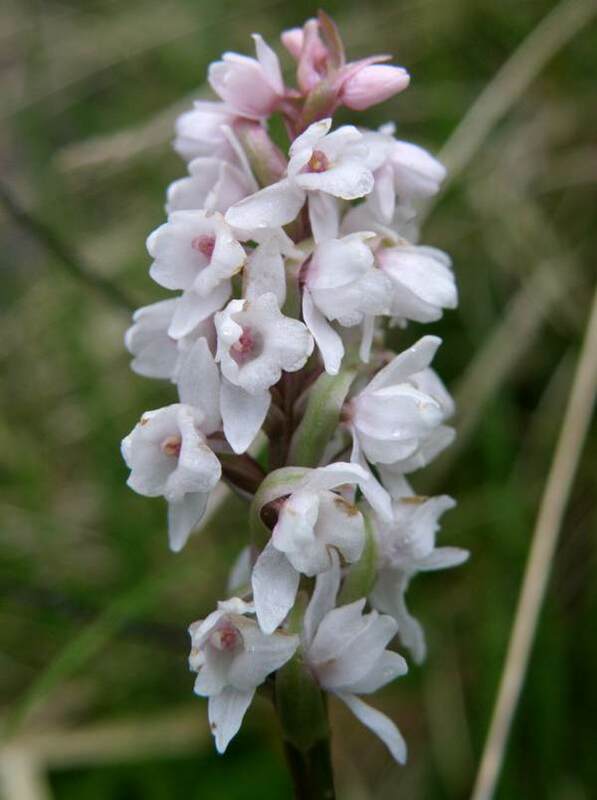 Once thought to be related to Gymnadenia albida, molecular analysis shows a closer link to Gymnadenia conopsea Fragrant Orchid which also occurs in large numbers in the Balkans. Gymnadenia frivaldii grows in very wet or marshy fens high up in the mountains (between 1000 and 2300m above sea level). The best time to see this orchid is from June to the end of July. The specimens on this page were photographed in the Pirin Mountains of Bulgaria in mid June.